With the opening of the North County Transit Center and the introduction of a new MetroBus service plan for North St. Louis County in March, there are a number of new MetroBus routes operating in the region. We’re taking you on a quick tour of each of these new routes so you can get acquainted with these new transit options and see all the places you can go with Metro. 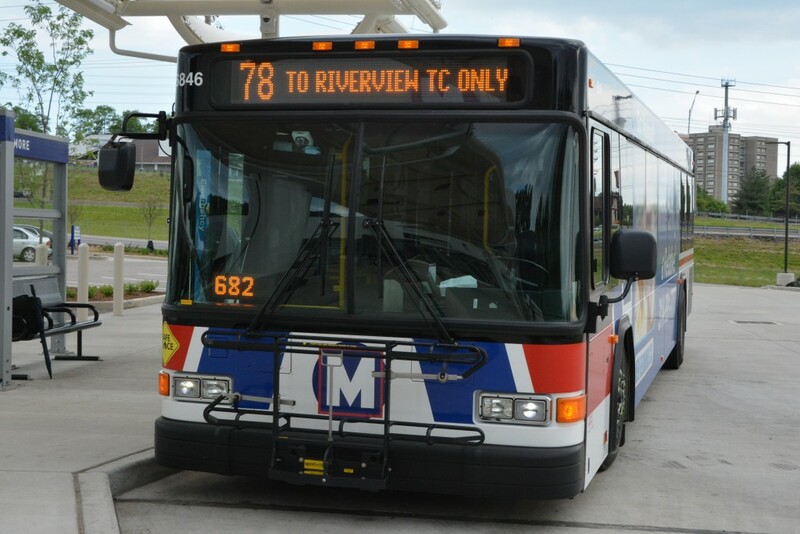 The #78 Larimore MetroBus route serves predominantly residential areas in Bellefontaine Neighbors and Spanish Lake; however, it also provides connections to key job centers in North St. Louis County, including the National Personnel Records Center and Christian Hospital. To reach these destinations, the #78 Larimore first heads east from the North County Transit Center, passing by Centene Corporation’s new service center and the Central City Shopping Center. From there, the bus heads north on New Halls Ferry Road and makes a quick turn east via Netherton Drive to serve the Brighton Apartment complex, and then along Old Halls Ferry Road and Redman Avenue while it passes homes and neighborhoods on both sides of the road. When the bus reaches Highway 367, it uses the outer road to provide service to the nearby shops and businesses, but its main destination is Christian Hospital, located near the intersection of Highway 367 and Interstate 270. That’s where Virgil boards the bus. He’s on his way to work at the National Personnel Records Center. To get to work each day, Virgil rides the #35 Rock Road to the Rock Road MetroLink Station. From there, he rides the train to the North Hanley MetroLink Station and transfers to either the #47 Clayton-NCTC or the #77 McDonnell-Lindbergh to reach the North County Transit Center. He then boards the #78 Larimore to get to work. Virgil has been riding Metro for about five years. 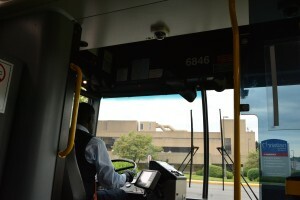 He said the new bus routes did require him to visit Metro’s website to brush up on the new transit plan, but with a few trial and error runs under his belt, he’s been able to take advantage of the new routes to travel around the area. The #78 Larimore loops inside Christian Hospital before heading back toward Redman Avenue. The bus serves the Spanish Lake neighborhood via a zigzag journey using Bellefontaine Road, Trampe Avenue and Larimore Roads. The bus returns to Bellefontaine Road at the Sierra Vista Plaza shopping center, and then heads west to connect with the National Personnel Records Center, which is Virgil’s stop. The #78 Larimore returns to Bellefontaine Road and enters several residential neighborhoods south of Interstate 270. The bus winds through Coburg Lands Drive, Cabot Drive, Ashbrook Drive, Kilgore Drive and Crete Drive before returning to Bellefontiane Road. A quick trip further south and the #78 Larimore reaches the end of its journey at the Riverview Transit Center. After a short break, the #78 Larimore turns around and makes its way back north to the North County Transit Center and back to serving the homes, employers and businesses of North St. Louis County. Note: For select trips in the morning and afternoon, the #78 Larimore also provides service to downtown St. Louis, with stops at the Convention Center MetroLink Station and at 18th and Clark near Union Station. To plan your trip on the #78 Larimore (or on MetroLink or any MetroBus route) download the Metro On The Go app to your mobile device, use our online Trip Planner or contact Metro Transit Information at 314-231-2345 or 618-271-2345, Monday through Friday from 7:30 a.m. to 4:30 p.m.